A strong and roaring engine gives us the confidence to drive through that wide open road. We cannot drive even half of that distance if we are constantly worrying about our deteriorating engine and exhausted car. With diesel engines, this issue is even more challenging. They absorb a lot of carbon in the process and that is why they need a diesel engine oil rich as an additive to balance out that damaging effect. A diesel engine is subject to extreme pressure as well as wear and tear when we drive around town in our favorite set of wheels. That is why we need to pay more attention to the diesel engines by adding just the right diesel engine oil to the mix at regular intervals. The best diesel engine oil at present in the market is Shell Rotella T6 Full Synthetic Heavy Duty Engine Oil 5W-40. First of all, diesel engine oil and diesel oil/fuel oil is not the same thing. The diesel engine oil is basically the oil which we use for the process of engine lubrication. The Diesel engine oil that we ultimately choose has to be compatible with the engine such that it minimizes the damage done each time. And enables the smooth and effective running of the engine. A lot of additives are added to the diesel engine oil. 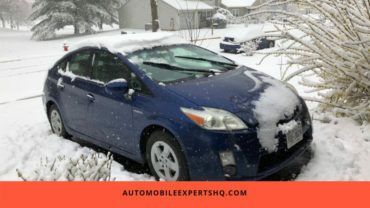 This is done to basically reduce the effect of the extreme friction and pressure that might remove plenty of years from the life of your engine in just a few drives. It is very important to select the diesel engine oil with the right viscosity. The wrong selection can do more harm than good to your engine. Usually, the standard engine oil viscosity range is provided by the manufacturers for each car. The suitable engine oil viscosity is decided by the highest ambient temperature and the lowest start-up temperature experienced by the engine. The final choice of diesel engine oil has to give an unbeatable performance in this range of temperature. The other factor that needs to be factored in which choosing a diesel engine oil is its performance levels. The exhaust treatment systems and the diesel particulate filters (DPF) are the first to get either benefited or harmed by the diesel engine oil being implemented. The rapidly evolving technology gives us a lot of control now over the many aspects of the engine that we can take care of with the present selection of diesel engine oils. Some of the key areas of our car engine that we can easily manage to include the better control of oil consumption, oil system sludging, piston top land deposits and the piston ring belt cleanliness. They are definitely the best of the lot. They are synthetically designed to meet all the desired specifications of the modern day engine. They remain in the fluid form even in the lowest of temperatures. And no amount of the scorching heat can ruin their stability as you cover mile after mile seamlessly. Since they are this good, they are bound to be the costliest of the lot. But if we count all the ways in which it makes it easier for the diesel engine, we might find it to be a worthy investment. Best fuel economy, protection, and performance are the many attributes that can be attained for the car engine with the help of synthetic oils. 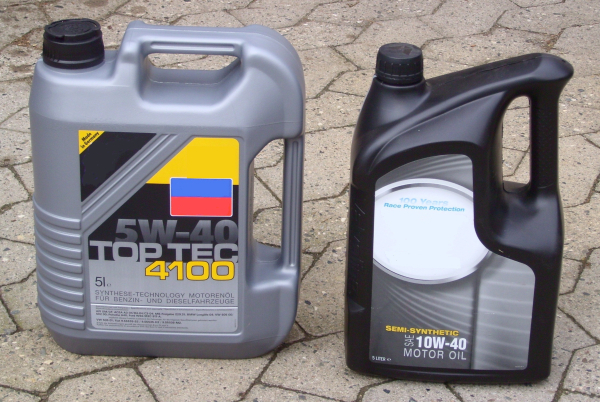 If we want good performance at affordable prices then part synthetic oils are the best option. They are actually a blend of the mineral oil and the synthetic oils. Their performance and other benefits are somewhere in between the range of synthetic and mineral oil. They are not as impeccable in performance as their fully synthetic counterparts. But they can still protect the car engine in way more effective manner as the naturally occurring mineral oil. It is generated from the crude oil after a bit of processing and refining. This way all the impurities and waxes are removed and we get the highly useful mineral oil. They do tend to be thick thus offering a strong protective layer to the car engine. But when compared to the above two counterparts it comes out the be the least effective. The uneven size and shape of the molecules in its composition make it less effective as a protecting agent. It does not fare that well in the extreme temperature and pressure conditions too. Different kind of car engines has different requirement set when talking about an appropriate car engine choice. It is important to consider all the deciding factors before making the final decision. Few main factors must be accounted for before buying the diesel engine oil. No matter where we live or what are our driving preferences, the following list of factors are the prime factors that help us make the right choice every time. The selected diesel engine oil should always offer the best protection against the regular wear and tear. For this, it should come with the properties to withstand the toughest of the conditions inside the car engine. 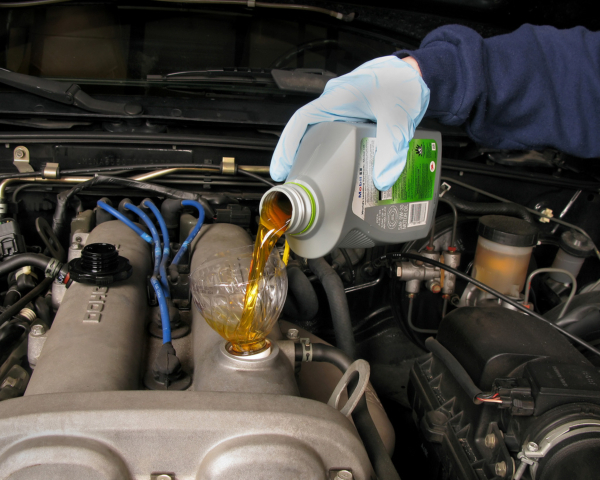 The wrong choice of the diesel engine oil might work against the car engine and cause more damage to the engine body. That is why it is imperative to pick the one that is guaranteed to be the perfect match to our diesel engine even on those long and tiring trips. The vehicle manufacturer usually gives a detailed account of the viscosity grade range that is ideal for that specific vehicle. This viscosity grade is for the diesel engine oils that we will be using the engine time and again. It informs us about the starting temperature of the engine. The diesel engine oil we eventually use the engine needs to perform well under those temperature conditions. The extreme pressure conditions also need to be handled well by our choice of diesel engine oil. Even if we don’t want to, the first filter which we apply to our search is that of the cost. Unless we have money to burn, we are always going to pick the diesel engine oil which comes with a reasonable price tag. But even that is a bit more complex process to follow. All expensive diesel engine oils are not better than their cheaper counterparts. But with a low price, the performance and other attributes of the diesel engine oil will be compromised. So we have to explore a bit ourselves and not get gallons of cheap useless stuff blindly. Oil changing is advised after our car or another vehicle has covered anywhere from 3000 to 5000 miles. This way we will be able to replace it with a fresh engine oil before the old one runs out of the supposed cushioning properties against friction and overheating. Aside from the extremes of temperature and pressure, we also need an engine oil that takes care of the cleanliness aspect of the engine. It should be able to cleanse the engine and remove the dirt sticking all over its parts so that it doesn’t accumulate over time and eventually cause it to rust. A good mileage is what we all desire in our respective vehicles. Efficient fuel consumption is not only good for our budget but it also makes the automobile function in a smooth manner. This way, we get a good deal on our total fuel expenditure and vehicle maintenance. The diesel engine oils can be designed to improve the efficiency of the engine. And it leads to the engine working effectively in a wide spectrum of advantages. And one of them happens to be the efficient fuel consumption. 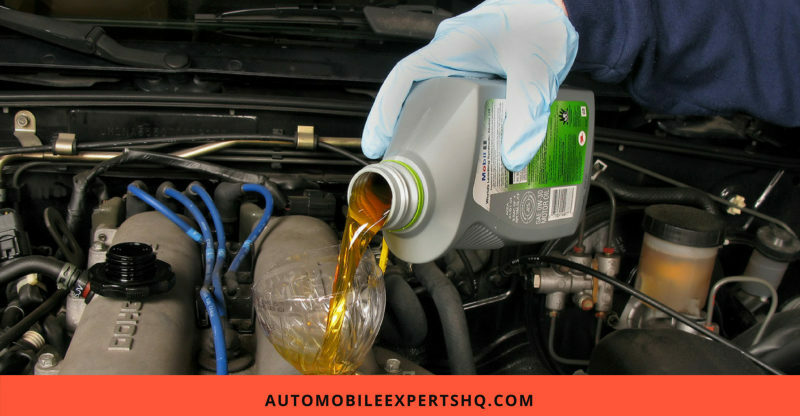 The above-mentioned factors are what we need to keep in mind while choosing the right kind of diesel engine oil for our cars and other types of vehicles. A lot of useful diesel engine oils are available in the market today offering extraordinary performance. Below are our top six picks. It is a high-performance motor that has been enhanced synthetically to offer us the elusive benefits that are not possible otherwise. It can be used on both diesel and gasoline engines. It is known to offer optimal engine protection in all times of conditions. This is the oil we need when we require extended drain intervals. It comes with the assurance of gf-5 Certification. Highly compatible with all kinds of cars including the European, Japanese, Asian and American models. With the right kind of filter, we don’t require filter before at least ten thousand miles checkpoint. All these benefits come well under the price of 30 dollars which is no less than a steal. Currently, this item is not available for international shipping. The price seems to be a bit steep when not buying in bulk which might be an issue for non-professionals who usually buy only one quart at a time. The motor oil has been designed keeping in mind the recent automobile technology. It is supposed to facilitate maximum performance in vehicles with the latest technological fittings including the high displacement engines, catalytic converters, and the gasoline direct injection as well as turbo Diesel. We can use it without any hesitation in all kinds of diesel and gasoline engines. This belongs to the category of fully synthetic oil which makes it apt for the driving challenges of today. A significant decrease in the oil consumption can be experienced with the use of this motor oil. Comes with the desirable low volatility and High HTHS for the long-lasting smooth driving experience. Highly recommended for the OPEL 2.0 and 2.2 DTI engines. One a tight budget, we might not be able to benefit from this tailor-made synthetic oil. International shipping facility outside the US area is not yet available for this product. A fully synthetic oil that comes with a string of benefits including a better understanding and compatibility with all the popular automobile engines of today. It is recommended and exclusively endorsed by the ground-breaking Cummins. Superior synthetic base stocks are known to offer protective thermal properties in the hot weather conditions. This also helps in attaining faster and safer starts when it is freezing outside. Oil oxidation problem is dealt with in a better manner with the help of its revolutionary formula. Better fuel economy potential as compared to the conventional 15W-40 oils. Shear value of this oil is well below the required number that makes it unfit for use in some cases. The OA test reveals the various areas where it is severely lacking even as a basic motor oil. The Shell Rotella T6 comes with the triple protection technology that makes it a suitable option for your cars and automobiles. It has been enhanced sufficiently with the synthetic base oils and other important additives that are essential for your engine. Offers almost 1.5 % better economy as compared to its conventional counterparts. Better performance achieved without compromising on the durability and protection of the engine with this motor oil. Extensive deposit control against the undesirable agents such as the dirt, soot, and other contaminants. Helps tremendously in making the vehicle adhere to the vehicle emission limits. The container is broken and the products come spilled in few of the cases. The company does not follow the rebate program started by them. This is a fully synthetic advanced mineral oil that provides outstanding protection, performance and cleansing properties. Suitable for all kinds of driving conditions, it will keep the engine running as new for a long time. Exceeds the latest OEM as well as industry approvals. Various fine vehicles across the globe run smoothly with the help of this reliable motor oil only. Exceptional cleaning power is witnessed in this competent motor oil. Advisable for low-temperature regions as it offers the rapid engine protection at start-up. Better fuel economy is attained with the help of enhanced frictional properties. Some customers are complaining that the product they received is not BMW LL-01 approved. Tempered caps or the wrong product delivery are the common mistakes of a few customers. Enhanced with proprietary additive technologies and premium base oils, this motor oil is known for providing the best engine protection and enhancing the overall performance. It is fully compatible with all kinds of synthetic oils and mineral oils. Heightened protection for the catalytic emission system. Better fuel efficiency and wear protection even in extreme conditions. Superior corrosion protection will add more life to your engine. Ethanol containing fuels are more compatible with it. Prevents the occurrence of harmful phenomena such as the lubrication starvation and white sludge formation. As opposed to the advertised three packs, you get only one pack at this price. The quality is deteriorating for this product as stated by a few loyal customers. 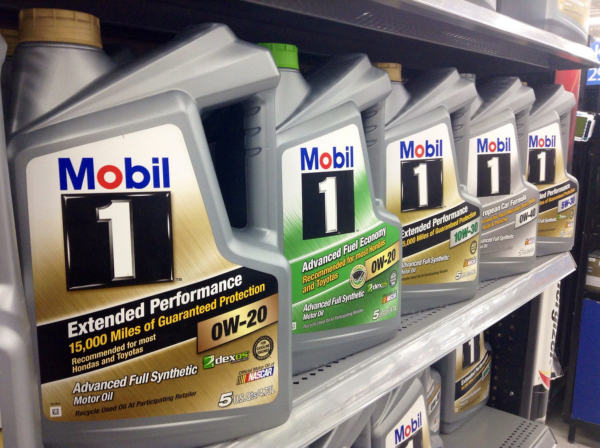 The above six motor oils are the one ruling the diesel engine oil sector as of now. They have been tried, tested and trusted by their now loyal clientele. 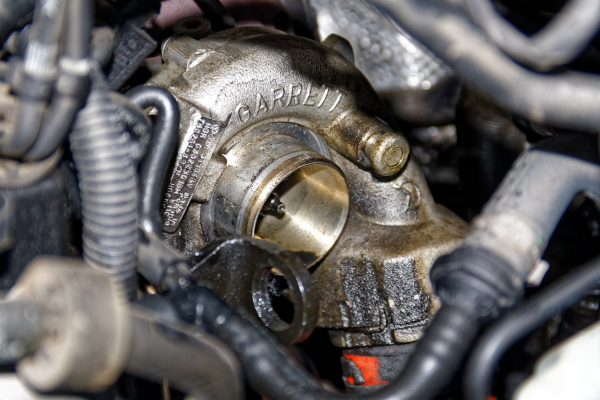 The motor oil picks the dirt and other harmful agents as it circulates through the various components of the engine. Depending upon the various additives present in its formula, the synthetic engine oil can lower the amount of debris it picks up. Lower the amount of dirt in its mix, lower will be the probability of the engine getting troubled by this unwanted sludge. This way, the motor oil can play a great role in proliferating the life and efficiency of the motor oil by keeping the unwanted substances at bay. During the winters, it becomes a challenge to start the car every morning if we don’t own the right kind of engine oil. This is because the lower temperatures make it almost impossible to get that quick and safe start that comes quite easily with more favorable temperatures. The synthetic motor oils make it possible to start the car with utmost ease even at low temperatures. This is made possible with the help of right kind of additives that help in getting the engine functioning smoothly without much delay. The places that don’t get enough of summer breeze, the overheating of the engine is a common issue. The synthetic motor oils come to the rescue making it possible for the engine components to stay within stable temperature limits. The protective synthetic motor oil layer keeps the engine parts from overheating and thus able to give the best performance. Synthetic motor oils have amazing wear protection properties. This helps the engine components from wearing out too soon due to the constant friction that they are exposed to. The synthetic engine oils offer a good amount of service before breaking down which is not possible with the mineral oils. The many advantages of the synthetic engine oil are enough to make it the default mineral oil for your vehicle this season. Diesel engines need special attention and care. The synthetic engine oils make it possible for us in the simplest manner possible. The reasonable price tag and breakthrough properties make it possible for the all everyone to benefit from them without breaking the bank. The current favorite of everyone is the Shell Rotella T6 Full Synthetic Heavy Duty Engine Oil 5W-40. What is your take on synthetic diesel engine oils? Have you used any of the six motor oils mentioned above recently? If yes then how has your experience been with them? Tell us all about it in the comment section below.